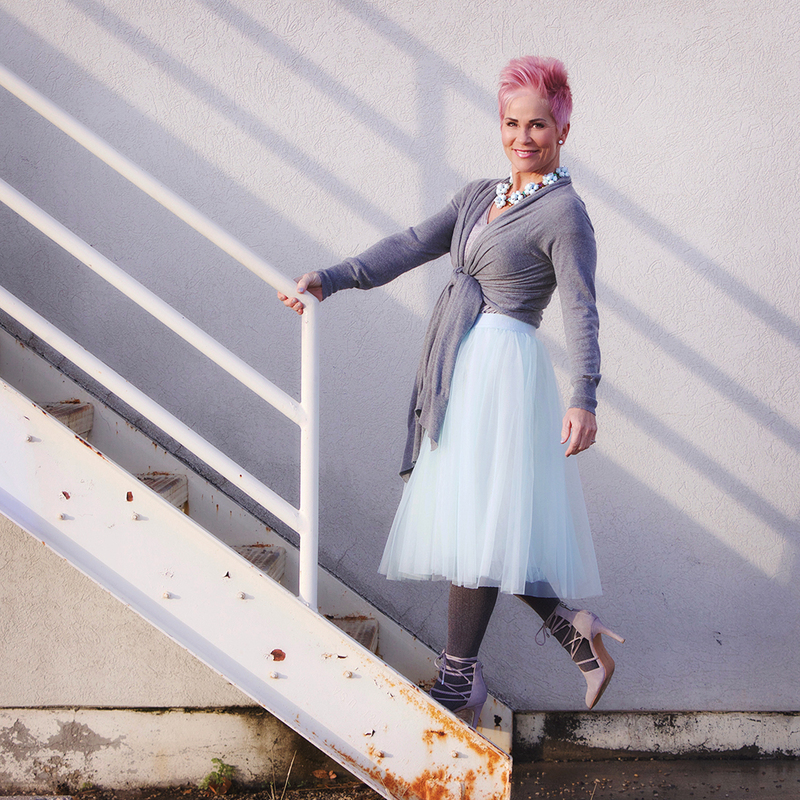 Hey friends….it’s PINKALICIOUS here! Ha!!! I did it, I really did it! This is all because of that challenge as I said in my last blog post, from Brookside Chocolate! They gave me the “green light” and so I just had to do it! Wink-wink!!! But I have to say that after living with it now for a day and a half, it is SO MUCH FUN, even more than I had imagined! They say that blondes have more fun….well I disagree! PINKS definitely have the MOST FUN! Harley from Landis Aveda, did such an amazing job! I totally left it in her hands and she was able to create the perfect pink for me. This is her secret formula (these are ALL AVEDA products). 40 grams 0N, 1 gram pure pigment V, 20 grams liquid CTA, and 20 grams cream. As I was getting ready yesterday morning, I had to really think about everything. The color of my makeup from my foundation to lip color, and everything inbetween, even what clothes to wear! I’m hoping that it won’t be too difficult….I’ll keep you all posted! I’m pretty sure it’ll all be worth it for my PINK pixie! Everything I have on here is YEARS old! But I’ve linked a very similar look here. The sweater??? LOVE this sweater! And aren’t the shoes adorable with the ribbon laces?! Tomorrow I’ll be posting all about my trip to NYC….back when I had platinum hair! LOL! It’s lovely Shauna! How long should it last or will it just fade out? Hi Linda….I’m not sure since this is the first time. But yes it’ll fade some, and then I get it cut every four weeks. Thank YOU! This color looks fantastic on you. Harley made a good choice. Enjoy! Good for you – you look amazing! Thank you for the inspiration. Totally the bomb! I love it! Round of applause for being so brave and having the self confidence to pull off pink! Your outfit is perfect for your new look! I love it!! Love the pink, looks so good on you. You rock from head to toe. You look fantastic! I love it! Brilliant – we’ll done. You are braver than I! I love color tints but I shudder to think about regular maintenance or growing out hair color again. I think the secret formula should be named after you! I love it! How about Shauna Pink, Pink Shauna, Shauna Flower, or Fab Shauna? Just to get you started brainstorming. I LOVE this color on you. I recently went from a sunset red/orange hue to deep violet. Since the violet is a pop color, it fades fairly quickly and my hair goes to a ghostly violet/lavender color. I wish I could pull the pink off, but my place of employment would not exactly like that move. You look stunning for sure!! !